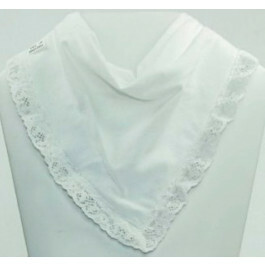 Pure white dribble bib. Bibble with white fleece and stitching and a edged in beautiful white lace. Perfect teamed with a party or bridesmaid dress. it's a comfy fit and being machine washable the Bibble will last for years! 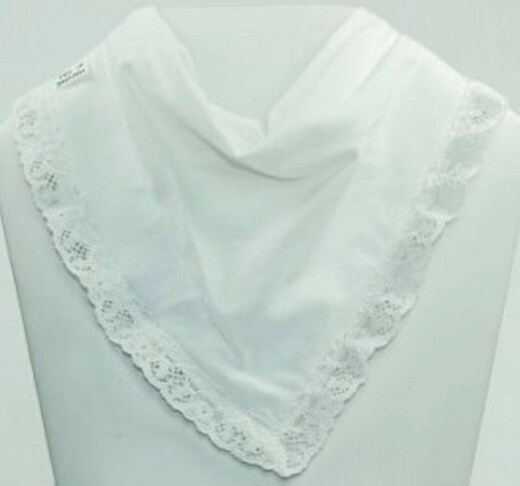 Pure white Bibble with white fleece and stitching and a edged in beautiful white lace. Edged in beautiful white lace. Size: 31-35cm approx and 13cm long.